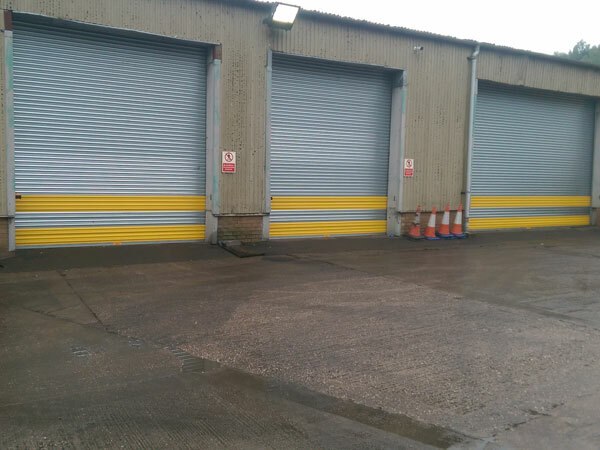 This example showcases 5 No power operated roller shutter doors fitted to a council plant and M.O.T testing station depot building in Worcestershire. 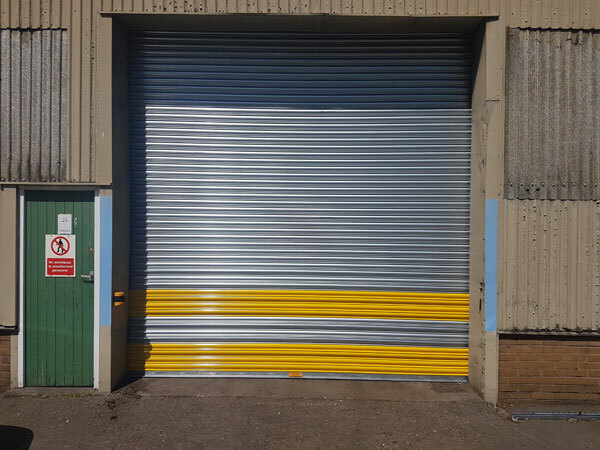 The shutters feature yellow hazard strips to help avoid impact and avoid accidents. This contract was carried out for Wyre Forest District Council at their depot in Kidderminster town centre.